student voice on regards to the life of the school. Students are elected to represent their tutor group on the year group council and from there the school council. students’ questionnaires taken as part of lesson feedback during normal lessons or as part of an interview process. understanding and appreciation of the rules of the class, school, the neighbourhood or the country and of why these are in places and the reasoning of why they must be adhered to. understanding the importance of rules that will be consistently reinforced through assemblies and the curriculum. understanding the part they play in the creation of some school rules as part of the school council. interest of philosophical enquiry in lessons and the opportunities to debate and discuss the reasons for laws so that they can recognise the importance of these for their own protection. the positive ethos around the school, with students in a safe environment. the students taking opportunities that are given to them that allow their abilities and talents to flourish. the extra-curricular activities and trips and visits which are available to students throughout the school year. treatment of each other and staff, showing great respect. willingness to listen to other students’ interests or point of views and treat what they believe with respect. understanding of different faiths and beliefs from lessons as well as assemblies. mutual respect of every student or member of staff at the school no matter their faith or belief. 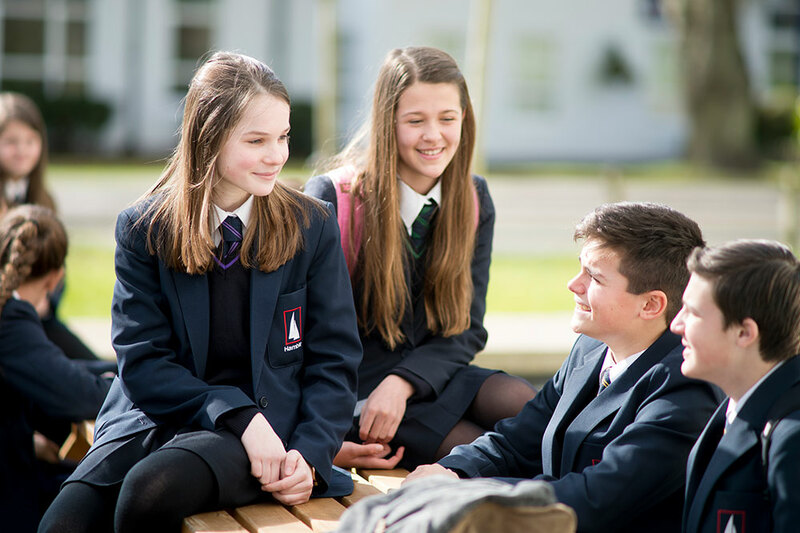 At The Hamble School, SMSC – spiritual, moral, social and cultural development – is an integrated part of the curriculum. It is part of all aspects of the school and has an important role to play in helping our students grow into the best citizens they can be. use of a range of social skills in different contexts, including working and socialising with students from different religious, ethnic and socio-economic backgrounds. willingness to participate in a variety of communities and social settings, including by volunteering, co-operating well with others and being able to resolve conflicts effectively. acceptance and engagement with the fundamental British values of democracy, the rule of law, individual liberty and mutual respect and tolerance of those with different faiths and beliefs; the students develop and demonstrate skills and attitudes that will allow them to participate fully in and contribute positively to life in modern Britain.